Achieve a prolonged flawless appearance. A cleanser that provides gentle physical and chemical exfoliation with apricot microspheres and BHA from white willow bark to give you a healthy-looking, radiant glow. 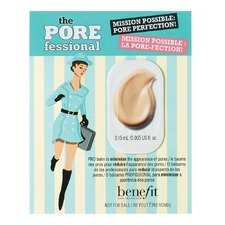 The POREfessional Face Primer is a lightweight balm that quickly minimizes the appearance of pores and fine lines for smoother-than-smooth skin. 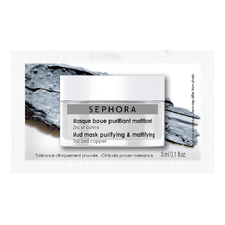 A mud mask featuring zinc and copper to cleanse and purify the skin—aka your skin’s BFF when it needs a detox. Where do I find these samples? - You can add a sample to your bag at checkout. - Only one sample may be added to each order. - Samples are only available while supplies last. 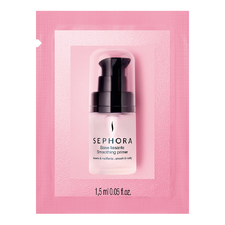 - If a sample goes out of stock, Sephora will provide a substitute. - Samples are not available during sale periods. How do I receive Premium samples? - Premium samples are bigger in size or have a higher value. - You can add a Premium sample at checkout when your total before shipping and after any discounts is HK$ 800 or more.